Verdure Meudon tapestry shows a verdure work inspired by the Royal Manufacture of Beauvais from the 18th century. Here we see a flowing river with a blooming foreground and a mansion in the hills in the background. The color palette is cohesive and the olives and deep greens are punctuated by reds, blues and yellows. 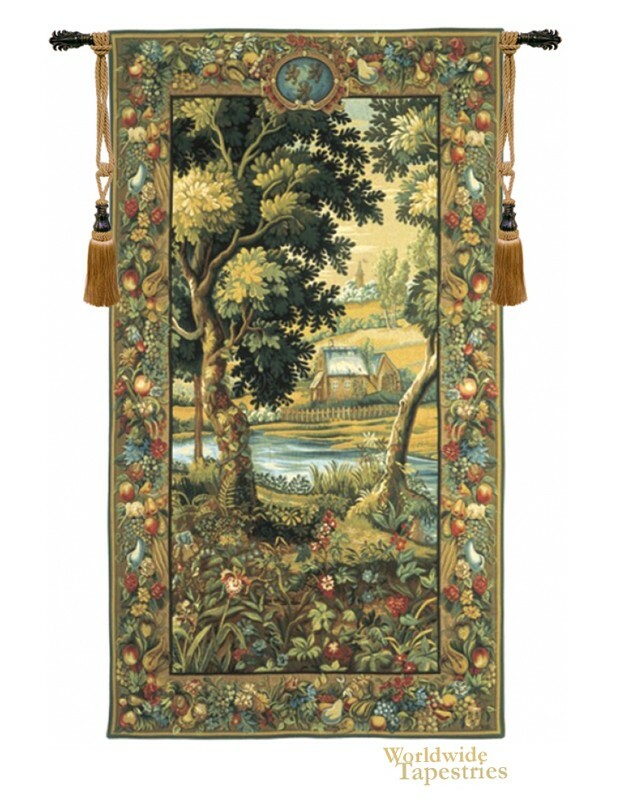 This Verdure Meudon tapestry is backed with lining and tunnel for easy hanging. Note: tapestry rod and tassels, where pictured, are purchased separately. Dimensions: W 44" x H 78"